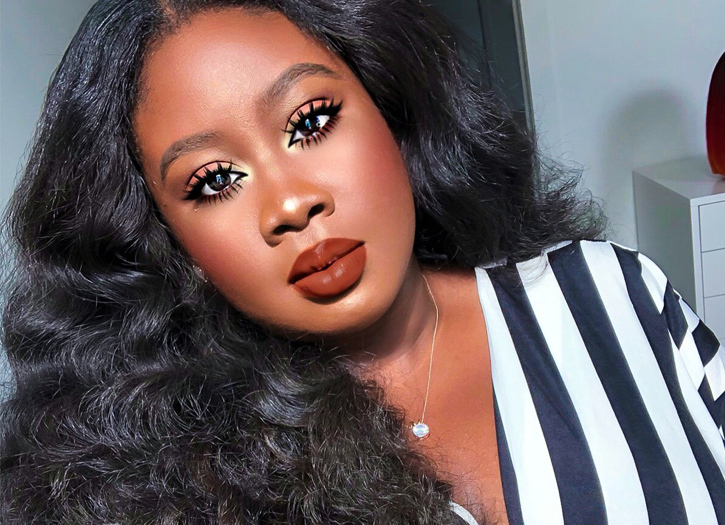 Your favorite social media beauty guru, Princess Bellaaa, breaks down her beauty routine. Bellaaa! In this age of DIY internet everything, there are a lot of people harping for our attention, for our clicks, swipes, and data downtime. Yet, here and there a few clear-cut winners rise to top, climb the ladder, shine brighter than all the other wannabes, and YouTube beauty vlogger, Karla Tobie known as Princess Bellaaa exemplifies a shining light in an altogether crowded environment. Her 350K followers on Instagram, 200K subscribers on YouTube, and eight million something views clearly indicate that she is here to stay. I started in 2013 while working at Chipotle as a cashier. I quickly realized I did not want to work for someone else, and that I wanted to start my own brand. I then created a YouTube and Instagram social media channel and started posting looks and tutorials. People started loving my work and that’s how Princess Bellaaa was born. To read more on Princess Bellaaa and many more features Sheen Magazine has to offer, be sure to pick up your copy of Sheen Magazine’s November/December issue, The Game Changer issue, available at Walmart, Target, Books-a-Million, and Barnes & Noble. You can also check out the link to purchase your copy of this issue and many more!